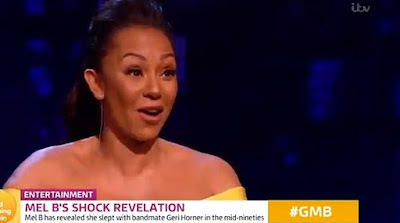 Piers Morgan has aired a clip of the bombshell moment Mel B confessed to having s-x with Geri Halliwell. 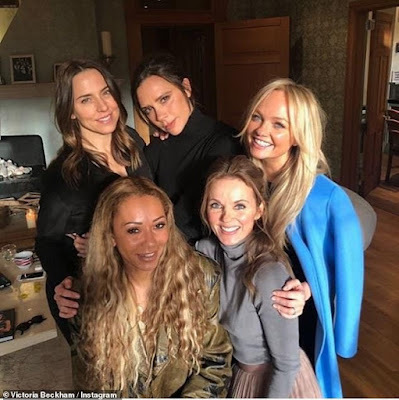 Spice Girl Mel, 43, made the shock confession during filming for Piers' Life Stories last week, and after the racy admission hit the headlines over the weekend, Piers shared a clip of the moment on Good Morning Britain on Monday. 'She's going to hate me for this because she's all posh in her country house with her husband,' adds Mel of Geri who is married to Formula 1 team boss Christian Horner. PIERS: Yeah, but not with the same s-x.